Online seller and buyer from Saudi Arabia have now reason to be happy. Just yesterday I got an e-mail from PayPal informing me, that I could now connect my Saudi issued VISA Credit Card to my PayPal account. And I could withdraw anytime to my VISA Card issued in Saudi Arabia. It is not really very clear to me, how things will work for Saudi Paypal Account, since according to the PayPal any balance will be transferred to my VISA Credit Card at every first week for the month. Anyway it is a really good thing to have a Saudi based PayPal Account. PayPal could be used in many ways in transacting online. Just Press the link below to be enrolled in PayPal. Now that you can receive payments, you can start selling with PayPal. Also, we want to tell you about an important feature of your PayPal account. Payments you receive go to your pending balance. Payments in your pending balance belong to you, but you can’t use or withdraw them, usually for 30 days. After that, pending payments go to your available balance, unless PayPal is holding amounts for another reason, as specified in the PayPal User Agreement or other agreement that you have entered into with PayPal. After you have a successful selling history with us, we will make all your payments available soon after customers send you payments. Why do your payment go into a pending balance? * We’ve found that until you have a successful selling history, problems between sellers and buyers are more likely. * Sometimes buyers ask their card issuer to reverse a payment. By putting your payments into a pending balance, we make sure you can return payments quickly to a buyer’s account. * The pending balance period gives new sellers a way to establish a successful selling history. You can let your withdrawals happen automatically. Your available balance is automatically transferred on the first day of every month to the bank account in the U.S that you’ve selected. * Log in to your PayPal account and click Withdraw at the top of the page. * Click the card or bank account you want to use. * Enter the amount to withdraw and click Continue. * Make sure that your information is correct and click Continue. Withdrawals from your PayPal account appear as credits on your card or bank statement. You can also find withdrawal information on your Account Overview. We understand that you’d like to have immediate access to the payments you receive, and we’re here to answer your questions about this change to your account. To contact Customer Service, log in to your PayPal account and click Contact Us at the bottom of any page. I Think this answers my question above. I have found out that if a certain company is always sending you on a monthly basis, their amount will be easily converted to the available amount however if somebody send you for the first time, it will take a month to get the funds. For me Chitika and infolinks payments is being transferred to my available amount the moment it arrives my Saudi PayPal account. I have also tried to transfer an amount to my VISA credit card and it cost me $5 for the transaction and money is received after 5 days. Hello, I just sign up for a new account on paypal through my SABB Visa Debit (ATM) Card number. I have few questions to ask here. 1. How can I link my paypal account to my SABB account? 2. 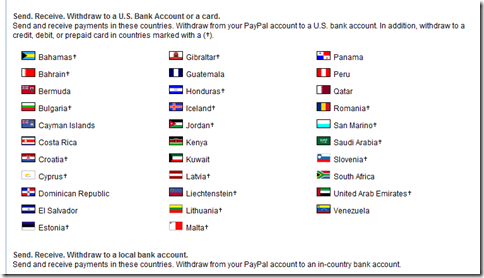 How can I transfer money from SABB a/c to paypal a/c and then from pay pal to any other email address internationally? 3. And can I receive payments from paypal to my VISA Debit card or I can to only use credit card for transaction and vice versa? 4. Should I need to contact bank to sync my SABB a/c with paypal a/c? hi, Just today i linked my Alinma Debit Visa card with Paypal, Initially 1USD was deducted from card, then when I select option “Confirm Credit Card”, it again cost me 1.95USD and sent me email that Now I can withdraw unlimited amount of funds. I just wanna ask that my paypal is now ready to send or receive funds ?? I have SABB Visa card and verified with paypal, I withdraw funds from my paypal account on 01-Mar-2016 but not yet received in my credit card till date. 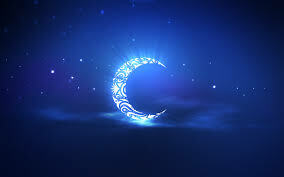 Almost 34 days has been passed. I read somewhere that it will transfer on first week of every month. I have talked to paypal support they are saying that is has been transferred to your account successfully. I dont know where its stuck. Do you have any idea how much days or when it used to transfer in my credit card? I have one issue with my paypal account that the title of paypal account is different than my credit card Title. Is this the reason of stuck? I dont have an idea, based on my experience i can get the payment every first month. Can you tell me the complete producer how to verified with Paypal ? i want open a account in paypal. my clients only transfer money in paypal. please tell me whick Bank account support paypal and i can withdraw money Easly in Saudi Arabia. Why dont you try Bitcoin? I have a SABB visa credit card and i have successfully linked it with Paypal. Now i want to figure out how this mechanism will work? Like if i receive any payment on paypal and i want to withdraw from paypal from my credit card, how would it be possible. I don’t understand how payments are being received on credit cards? Can i get any explanation on this matter in detail? I’ll appreciate for the help. If you have money in your paypal account. You cannot withdraw it for about a month. They will freeze the account. Then if it is released they will automatically transfer it to your credit card or you may want to request earlier through the withdraw tab. The money in credit can now be used to purchase or be withdrawn by you..
ohh my word..finally Bank Aljazeera(BAJ) supporting Paypal withdrawals via VISA Credit card..Alhamdulilah..I am loving to see this kind of changes in KSA..If u had any problems via BAJ to withdraw money from paypal you can contact me via my email,any help on this regard is free..insha allah I’ll try to help you guys..
Hi Sir, with regards to paypal withdrawal to Visa credit card, can you give me the instructions on how to withdraw it? like, if I insert my credit card in an ATM machine which option I go? If I were you I will not withdraw it, instead I will use my credit card for purchase. Since if you will withdraw it from Credit card it will be treated as Cash Advance and the Credit card company will then take some percentage in your earnings. Hi, Thank you for the prompt reply, are there any ways to encash it without using a credit card? I am a pinoy by the way. Dexter, if I open another paypal account but this time country is Philippines but I am here in Saudi, what do you think is this gonna work? because I have metrobank credit card for verify my account and metro bank ATM card to send the money there. Sorry but i really need your opinion. Sorry for disturbing you i just need little help. I had linked my Visa Credit Card issue by NCB bank to PayPal account which is USD and my account in SAR so my two questions. 1)How long it will take to receive money in my Visa Card ? 2)Will it deduct some charges for converting USD into SAR ? Also tell me your experience with your Bank even If you don’t know about NCB. Same I am having problem with bank aljazeera, I received money from paypal, but i cannot get the money, from last 50 odd days i am suffering on this issue. when I call bank they are saying the money is on my credit card, but they dont know what to do..how to receive the money no one knows . Ahaan, thanks dude (or dudette =P) for simplifying it up!! I’d be moving to KSA soon for Iqama renewal these holidays, and would surely compel my dad to have one for me so that I could continue earning some extra bucks. I’d reply on this post (or is there any other better way to catch up with you? )If need any word of opinion whatsoever! Thanks! I have an Account (or rather my Dad’s) at Saudi Hollandi Bank. I do freelance work and get paid on Moneybookers. But due to much lucrative offers I’ve to switch to PayPal, but here you need to have Visa unlike MoneyBookers. What do i have to do? Does making a visa card require large fee? Excuse me for being an absolute dummy at this credit card thingy- but please explain me all the steps I need to take on. Since I would just be using this credit card for Paypal, I do not wish to pay excessively for the fee. Actually it is not that hard to get a credit card in Saudi Arabia. You just have to fill out the information form in the bank and you to give your 3 mos proof of salary. It would be easy to get the credit card from you are banking. The copy of Iqama is also needed. At the moment Paypal accepts only VISA and you have to wait a month before you can get your monney transferred to your bank account. If you have your visa card.. you can withdraw it directly from your visa credit card through cash advance.. but there is a fee of course.. It will be a minimal fee and not a big one..
As for me example I just received the other day an amount of US$122 , and this amount transfer to my credit card on April 1. without a fee. When you withdraw money US$122 to your credit card then how much you receive in SAR? Is your account in SAR currency ? And Is NCB support PayPal ? I am thinking of huge fee they charge for converting USD into SAR. Paypal transfers to Credit Cards not Debit Cards. I suggest you open a Sabb bank account. Thanks to Best of Riyadh for this GREAT INFORMATION! How do you know that you have received the funds? do you get an email/SMS? or do you check the e-visa statement? how? Sorry it took some time respond.. but you may always check your online bank statement..normallynowadays bank is telling it’s consumer through text message that there is an amount transferred to you account. bro which bank account you are using in paypal…? ?